If you’re a local brick and mortar business, or a service shop with walk-in customers, ranking high in local search results is critical for your business. Local SEO can help your business stand out in the search engine result pages (SERPs) and boost your organic traffic in no time. This free guide to local SEO will help you generate more website traffic, inquiries, walk-in visits and boost your business reputation. But before we get there, let’s take a sneak peek at what local SEO is. Simply put, local SEO is the art of ranking websites locally to promote products and services to local customers and prospects. 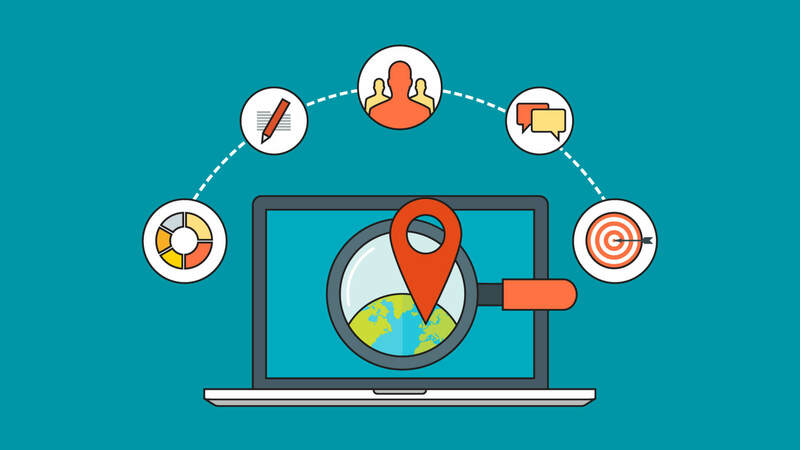 Unlike traditional Global SEO, local SEO focuses solely on generating exposure from local searches. The aim is to get your business to appear in both the organic listings and local searches, therefore, generating more SERP appearances. Say you’re the owner of a local restaurant. Google can help you increase your visibility to the people around you. Using local SEO, your restaurant will show up on SERP whenever someone makes a “restaurant near me” search. Should I Invest in Local SEO? •It’s easier than regular SEO. Usually, it is easier for a business to get the exposure it needs through local SEO than through regular SEO. •It’s targeted. In the case of Google ads, local SEO is a more viable way to spend your money since you’ll target the right searches. •Free Traffic: If you can boost organic Google rankings, you can leverage an ongoing stream of free traffic. •Level playing field. Local SEO allows local businesses to compete equally will larger, national businesses. •Make sure your business description is long and well formatted. •Choose the right category for your business. •Upload high-quality pictures of your business. High-resolution profile image and cover photos will help in conversions. •Include a local phone number is critical. •Get real reviews from customers. •Make sure that your business NAP – Name, Address, and phone number – is up-to-date. Choose keywords that easily describe your products or services. Sign up for a free Google AdWords account to access the free Google AdWord Planner. This will help you identify the search hits for each of the keywords. •Find keywords that are easier to rank. •Your keywords should contain a local region for maximum effect. •Find keywords with low competition in the search results. Once you’ve finalized your keywords research, it’s now time to optimize them. You need to place the keywords through your website and Google Business listing page. Website optimization is particularly essential, whereby, the selected keywords are intuitively used in header tags. First, you’ll want to start with your homepage and main service pages, which are the core pages of a website. Remember that the primary objective is to provide your audience with the right information and not merely to recycle the same topics for better rankings. 4. List your business around the web. Linking your business NAP on authoritative sites such as Yelp, yellow pages, and WHOIS will help your ranking and confirm your identity. Ultimately, this should improve your credibility and set you apart from local competition. A mobile-friendly website ensures that you leverage on the thousands of intent-backed searches done through mobile devices. A mobile-friendly site should have a responsive layout, intuitive interface design, and flawless user experience. Online review plays a critical role in Google’s algorithm. Also, today, consumers are using ratings to gauge the social proof of business. Getting stellar quality ratings will not only rank you better, but you’re also likely to reign over your competition. How do you get these positive reviews? •Actively ask for them in person or through your sales team. •Seek social listening tools such as Hootsuite to get alerts on business mentions and transform them into reviews. This free guide to local SEO is intended to drive and scale your local success. Optimizing your website is a long-term process, so you won’t see changes in your local rankings overnight. Continually refine your strategy and horn your local SEO skills, even beyond the scope of this free guide to local SEO. That is it for now folks. Be sure to check out some of our other guides about SEO and leave a comment below.